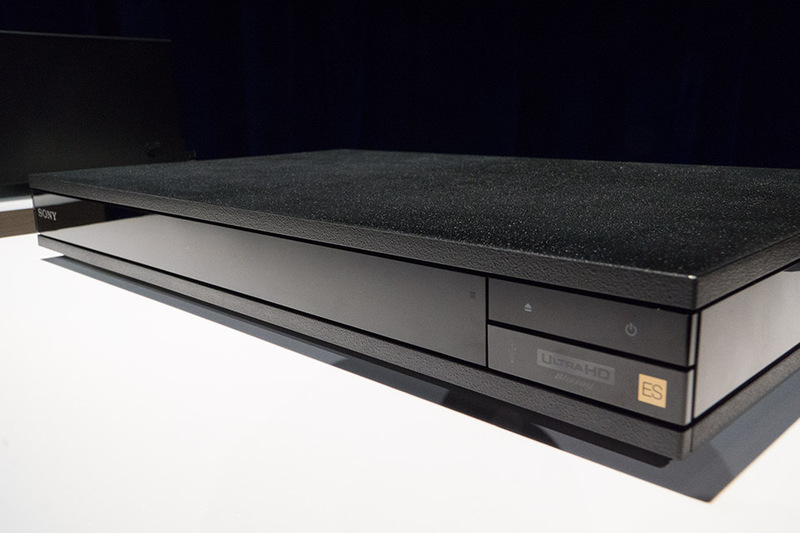 I'll have more info up later... but...today (at CEDIA) Sony unveiled a standalone 4K UHD Blu-ray player. Unexpected, to say the least! I do like the fact that it will play DVD-Audio and SACD but until OPPO hits the market I will still be waiting. Interesting textured finish. Like Blacklightning said, it's probably Oppo's sale to lose for me. Still considering the Panasonic (a little pricy, but like the HDR conversion for people like me who didn't think HDR would be an actual reality for another 2 years) and Philips (looks too much like a mini non DVR cable box). Still depends on price (especially compared to the PS4), availability, and full feature set. I've heard that both the Samsung and Philips players are not so hot on picture processing performance. I've heard the Panasonic is fantastic. The Sony will be the only player capable of streaming 4K with HDR. I bought one from Amazon for $176. Cdn taxes in and shipped. I installed my unit yesterdsy swapping it in place for my old Sony BPD-S360. Thus unit is heavy and feels solid conveying a sense of quality construction. I watched Blade Runner on BluRay using the 4K upscaling on thhis unit and it works really well. A more detailed review will be coimg out as I use it more . Its too early for me to say how this unit will do but so far so good. The breathy haunting vocals of The Cowboy Junkie's Maro Timmins was conveyed accurately as was the rest of the instrumentation. The soundstage was very detailed with instruments well placed. I did played the original Blade Runner on BLURAY which is a very dark movie with lots of night and dark scenes. Black resolution was excellent in these dark scenes. I don't own any 4K discs as of yet but I will remedy this situation in the near future. This player is equipped with the "Grace Notes" App so when I play a CD, it displays the album cover, tracklist, and name of songs. Its really kind of cool. I had to turn on the app as its default is off. Last edited by 3dbinCanada; 01-02-18 at 12:48 PM.